Car accidents occur whenever a vehicle collides with another vehicle, pedestrian, animal, or object. There are different types of car accidents, but the most common ones are front-on and rear-end collisions. There are also insurance scams that involve different types of accident, in various areas of vehicles for the purpose of collecting insurance proceeds from companies. 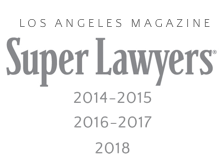 Immediately after a car accident, it is critical to obtain the services of experienced car accident lawyers and attorneys in Los Angeles. A dedicated attorney works with you one on one after a serious injury to help you get proper medical care and recover damages, such as medical bills, lost wages, pain and suffering compensation. Often victims are seriously injured and cannot get the medical care they need or even pay for their medical expenses. An experienced lawyer is important to you, not only to focus on recovering your damages, but also in getting you the proper care with competent professionals, to make your recovery as easy as possible. Whenever you are in an accident, contacting an attorney in a timely manner is critical. There can be severe consequences to your case if you fail to get a competent attorney immediately. Skid marks vanish. Witnesses become difficult to contact. Critical pieces of evidence get destroyed and crucial witnesses become unavailable. Vehicles may become totaled and if not preserved for evidentiary purposes, may be sold and later unavailable from which to gather critical data regarding the cause(s) of accidents. We work with competent professionals to get you proper medical care and then begin to work on your case immediately. We contact witnesses to secure statements and take depositions. We investigate the scene of the accident and work with an accident reconstructionist to analyze skid marks before they are gone. We obtain police reports and medical records, timely review them, and when appropriate, file your case in court to maximize your recovery. Whenever a vehicle is defective and the defect is a cause of the accident, we may pursue a products liability case against the manufacturer or dealer of the vehicle. 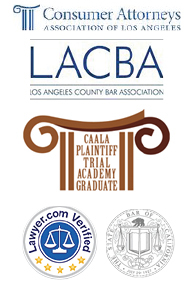 to speak with our personal injury legal experts at LA Injury Group, Inc. or Contact US by filling out our form online.